For many Filipinos today, traveling is just enjoying the beauty of the place, its scenery, colorful festivities, amazing food and their marketplace. But we fail to see and look into the history and culture of the place we visit to. This June 2012, National Geographic Channel (NGC) with the Department of Tourism to showcase the unique culture and amazing history of six of the country’s world-class destinations in Islands Insider. Islands Insider features six (6) episodes that seek to reveal the cultural and historical bases of some of the most compelling sites in the country, namely: Batad Rice Terraces in Mountain Province, Coron in Palawan, Taal and Anilao in Batangas, Siquijor and Mt. Pulag in Benguet. at the world-famous Batad Rice Terraces in Mountain Province. Islands Insider: Batad Rice Terraces, the first episode of the series, will premiere this June while the rest of the episodes will be shown soon after. 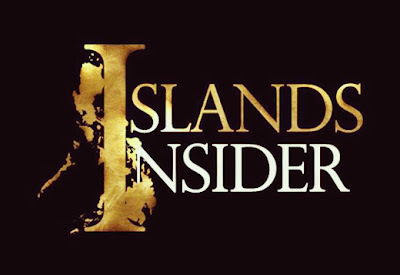 Islands Insider producer Ginggay Hontiveros of The Extra Mile Productions said they used cinematic photography to highlight the visual appeal of the locations but put greater emphasis on issues that threaten the existence of the sites to foster a better understanding and appreciation of preservation and conservation. “Tourism destinations are not static. They evolve and deteriorate over time so they need to be preserved for the benefit and appreciation of future generations,” says Hontiveros. NGC vice president and territory head for Philippines Jude Turcuato said they were happy to support the project because it showed the travel sites in a different perspective that highlighted the need for conservation, a goal which NGC advocates. “It is also our way of supporting the Department of Tourism’s ‘It’s more fun in the Philippines’ campaign to promote the country’s best sites to the world,” remarks Turcuato. The series showcases distinct and cultural travel destinations in the Philippines as seen from the eyes of an unobtrusive host seeking to understand her heritage much better. While the visual appeal of the locations is highlighted by cinematic photography, greater emphasis is placed on the who, what, why and how aspects of the place to foster a deeper understanding and appreciation of preservation and conservation. Tourism destinations are not static, evolving or deteriorating in time, and require intervention and attention to be sustained for future generations. The show seeks to reveal the cultural and historical bases of the sites, elevate the issues hand in hand with the natural beauty, so that the viewer achieves a more comprehensive appreciation of the national treasures in the Philippines. The show is presented in semi-documentary form, with interviews and sound bytes from different local characters and experts along with vivid images. The series is hosted by Ginggay Hontiveros. Cinematography by Gawad Urian nominee Takeyuki Onishi, with stories by “Viajero Chronicles” author Gabby Malvar and Palanca Awardee Froilan Medina. 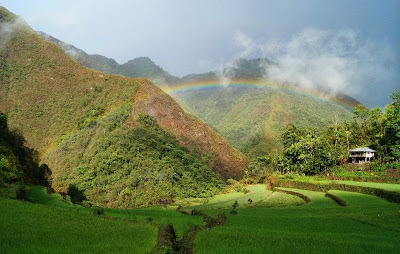 BATAD – Walk through the world famous Batad Rice Terraces, nestled high in the mountainous region of the Cordilleras, and immerse in the culture, heritage and tradition of the Ifugao Tribe. The host seeks to understand the symbol of the Bulol and how it is tied to the rich rice growing heritage and landscape of the Ifugao. TAAL - Taal town is a heritage town just a few hours from Metro Manila and boasts of heritage bahay na bato houses, an immense basilica, the balisong, burda and distinct food and delicacies such as kapeng barako, suman, maliputo and tawilis. Visiting Taal is like stepping back in time. CORON - Kayak the crystal-clear waters of Palawan and climb soaring limestone crags to catch a view of a secret cove. Whilst seeking a deeper understanding of the Tagbanua Tribe and handful of men, present day stewards of this magnificent piece of heaven on earth. SIQUIJOR - No other place in the Philippines equally inspires as much dread and fascination as Siquijor, a vast canvas of legends and folklore, of healers who utter incantations and perform unique rites, of remedies taken from roots and herbs, and of sorcerers who practice witchcraft. MT. PULAG / KABAYAN – Trek to the mountains in Benguet : Mt. Timbac where the ancient Ibaloi tribe would carry their dead, and where present day travellers can catch a glimpse of the Mummies. Summit Mt. Pulag and discover how Luzon’s highest peak is related to the Ibaloi’s quest for eternal life. ANILAO – Submerge in the waters of Anilao in Batangas province, and marvel at the sheer bio diversity of marine life that has grown over the decades thru efforts of locals and resort owners to regenerate the coral reefs in these waters.